Mr. Rubio saw a chance to jump in, asking if he could respond when the candidates were done with yoga. Mr. Cruz said he hoped there wouldn’t be any yoga on the stage. Maybe there should have been – to help tone down the violent, brutal, and childish rhetoric that has made this election season so difficult, troubling, frustrating, and confusing. If it’s that way for adults, imagine how it is for kids. 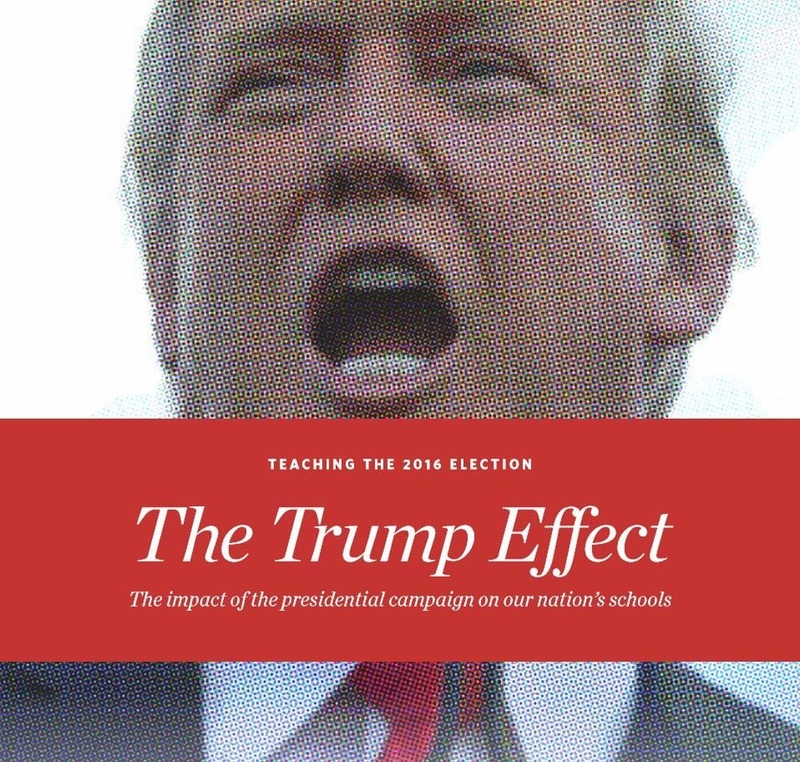 Recently, the Southern Poverty Law Center released a report on how the current presidential campaign is affecting our schools. Results from their online survey of teachers revealed an increase in bullying, fear, and anxiety. More than two-thirds of the teachers reported that students – mainly immigrants, children of immigrants and Muslims – have expressed concerns or fears about what might happen to them or their families after the election. More than third have observed an increase in anti-Muslim or anti-immigrant sentiment. Clearly, the boys were mimicking – trying on, practicing – language they were hearing in the media and possibly around the home. Another time, a girl, whose mother is lesbian, told Lynea that she didn’t know that Bernie was “a bad guy” and that it was a sin to be gay. She’d been told that by a classmate at recess. Addressing this situation isn’t a matter of shielding kids from the ugliness of current events. Even if your own family follows a strict media diet, children will invariably hear the messages elsewhere – at friends’ homes, at school, during extracurricular activities. What can help is talking with children about what they’re seeing. Ask them how they’re viewing the election. Listen to what they have to say. Ask more questions to help them make sense of what they’re seeing, hearing, and experiencing. Getting information is a key step in coming to terms with the fear, anger, and other negative emotions that current political rhetoric can generate. Communication also gives you an opportunity to help your child find ways of taking positive action to counter the hatefulness. Since the rise of Trump and his consistently over-the-top statements that perpetuate an Us/Them mentality, plenty of folks have been asking how we got to this place. Certainly one of the factors, as David Brooks has astutely noted, is the rise and dominance of individualism. Hyper-individualism divides, increasingly making us less able to empathize with or even understand those who think differently than we do. Civic life has suffered. As Marc J. Dunkelman writes in his compelling book “The Vanishing Neighbor,” people are good at tending their inner-ring relationships — their family and friends. They’re pretty good at tending to outer-ring relationships — their hundreds of Facebook acquaintances, their fellow progressives, or their TED and Harley fans. But Americans spend less time with middle-ring township relationships — the PTA, the neighborhood watch. Middle-ring relationships also diversify the sources of identity. You might be an O’Rourke, an Irish Catholic and a professor, but you are also a citizen, importantly of the Montrose neighborhood in Houston. We believe mindfulness, empathy, and compassion can help reverse this trend. All of these, notably, are practices that can be taught. They are also more apt to help address underlying issues that may fuel our divisiveness, distrust, and alienation. When we lead Yoga Calm classes for children, we start with activities that develop the principles of Stillness and Listening, teaching the kids how to calm their bodies and listen to themselves – heart, mind and body. By becoming more become aware of their needs, students learn that they are “meaner” on days when they haven’t had enough sleep and have more arguments with their friends when they’re not exercising and caring for themselves. With awareness of their own needs and guidance in making healthy choices, children learn the practice of self-care. Social awareness and skill development build on those lessons. By understanding what affects our emotions and actions, we gain insight into others’ emotions and actions. And by practicing communication, leadership and other social skills, along with how to solve problems – Yoga Calm’s Community principle – we create an environment of loving kindness and belonging.